Urgent aid has been delivered to four more desperate villages in the Irrawaddy Delta as heavy rains continue to fall across Burma, plunging flooded villages and towns deeper into despair. Many are still trapped in their villages as flood waters are so high that there is no means of escape to seek food or clean water, with some villages sharing just a single canoe or boat. This week David, our Director in Burma, led a team of staff and volunteers to deliver aid to the four villages where houses are still standing but all of their possessions have been destroyed or washed away. With the damage caused by the floods increasing day by day, panic is beginning to set in. Our team collected bags of rice and along with water, medication including diarrhea and rehydration salts, noodles, biscuits and clothes, they drove by truck for 40 minutes until they had to transfer across to boats. They hired three boats and travelled for some hours in the heavy rain to reach the villages, where the aid was then transferred to canoes and transported to 320 families in need. The team was very pleased to be able to show God’s love to those of Christian, Buddhist and Catholic beliefs in a very practical way and once they had distributed the aid, they returned home in the heavy rains. 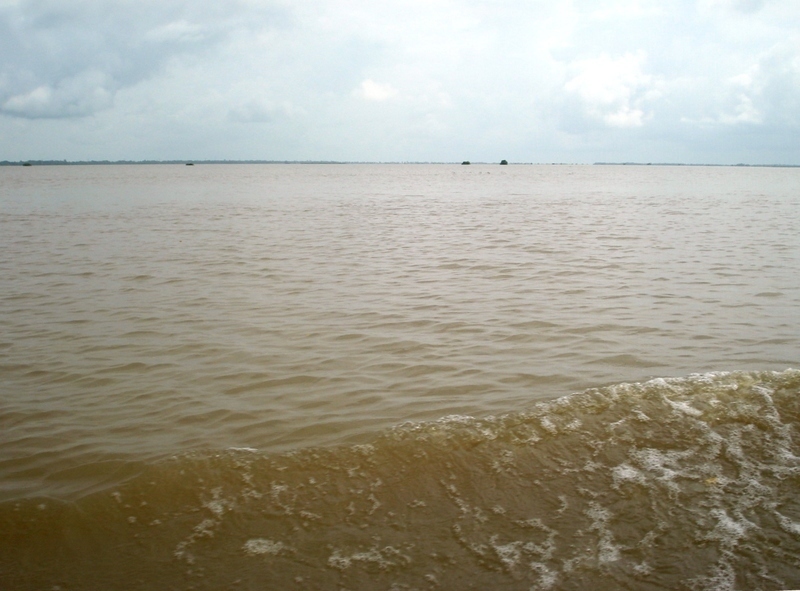 A growing concern is the number of rice fields buried under water (above), which will leave entire villages without any rice to harvest. This has forced food prices to escalate rapidly as there is fear not only of the immediate lack of food but also for the damage to crops over the next 12 months. One volunteer described the rice fields as unrecognisable, as if they were looking at ‘the ocean’. Currently the water in the villages is reaching four feet high but in some of the fields, it is measuring between 8-12 feet high and after the floods subside in the coming months, there is a worry of how much mud will be left behind. The villagers will not be able to travel across such vast amounts of mud by foot or vehicle until it has dried out, which may take months, and there is fear what will happen to food prices and availability in the mean time. Our team of staff in Burma will continue to provide aid and assistance where they can – if you would like to contribute towards helping those affected in Burma, please visit our Burma Floods project page.